Auto insurers are contending with record-low numbers of new shoppers, price competition and the ever looming Insurtech disruptors. These conditions have forced auto insurers into “aggressive customer courtship mode”, according to the J.D. Power 2018 U.S. Insurance Shopping Study. To court customers insurers are investing forcefully in improving the shopping process and in national advertising to build their brands. 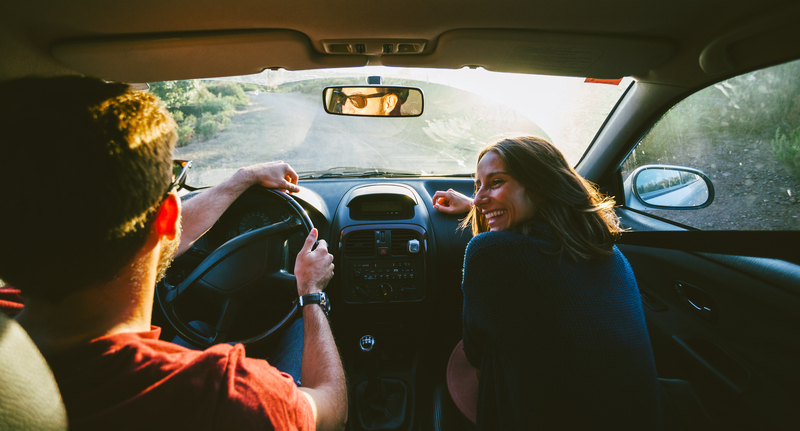 Delivering an omnichannel experience is critical as 45 percent of auto insurance shoppers use multiple channels when purchasing a policy. Brand reputation is the top driver of consideration, but a strong value proposition remains essential in driving quote and close rates. Insurtech customer awareness still low: Just 6 percent of prospective customers indicate being aware of at least one of the following companies: Lemonade, Metromile, Trov and Sure. Less than half of shoppers who are aware of a given provider would consider doing business with them in the future. Directs are winning purchase experience battle:Overall satisfaction among shoppers who purchased insurance from companies that primarily sell directly to the customer is 846 (on a 1,000-point scale). This compares with a score of 842 among shoppers who purchased insurance from companies that primarily sell through independent agents and 834 among those who bought from insurers who primarily sell through exclusive agents. Competition for customers is fierce, so incumbent property/casualty (P/C) insurers must hustle to integrate digital technologies into their operations. Digitizing the claims experience holds great promise for the P/C industry both in terms of customer experience and cost savings. 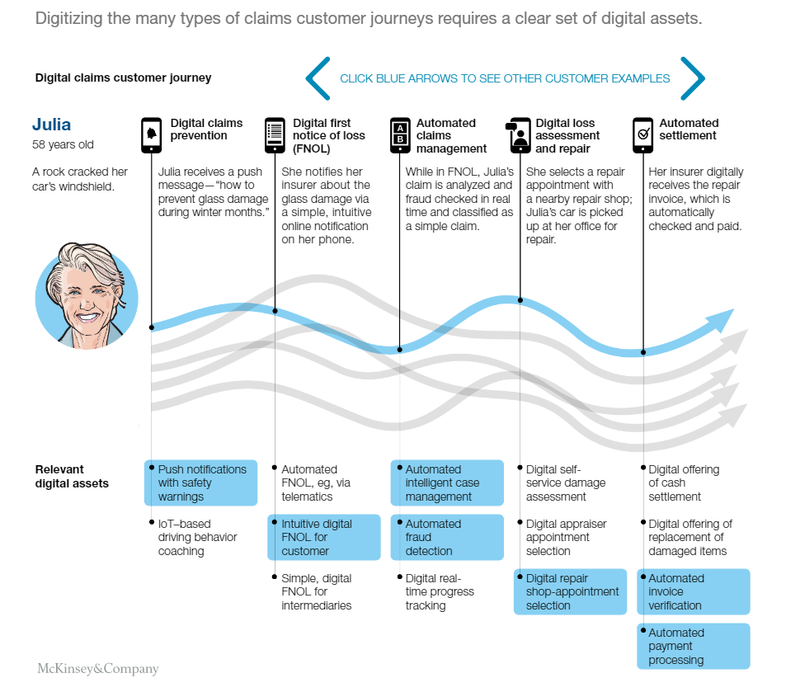 McKinsey and Company has recently released a report about planning for a successful claims digitization process. The essential elements needed to digitize and transform claims include developing a new value proposition that sets a high-level aspiration (and getting managers to buy in) and pursuing an end-to-end digitization of the claims customer journey. A truly innovative customer journey can be achieved by integrating with three other areas—AI and digital technologies, the digital integration of the claims ecosystem, and a new digital operating model. The figure below shows what an aspirational future state of a customer journey would look like, and the digital assets needed to achieve that state. Customers who have a poor experience with their insurer shop at a rate of 28 percent Ã¢â‚¬“ more than double the rate of shopping among those who experience a premium increase (13 percent).